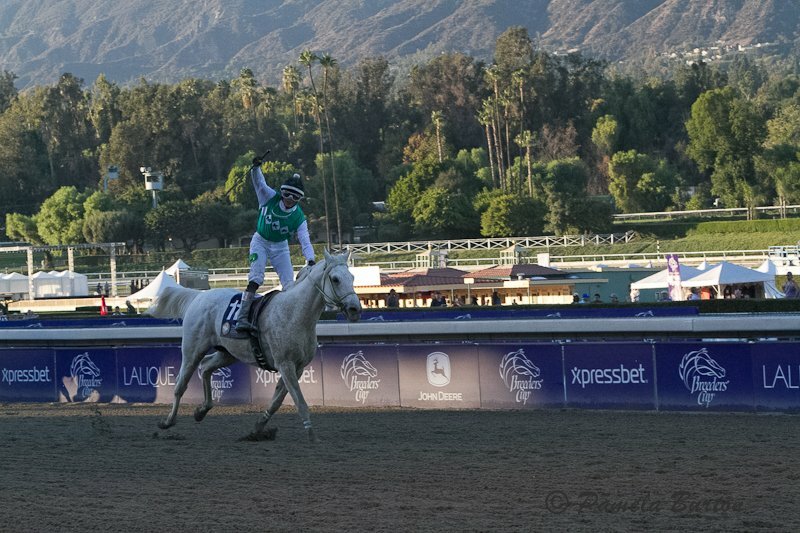 November 1, 2013, California ~ Owner Mark Powell could only say “Yes!” repeatedly and with great emphasis after his win with So Big is Better at the President of the United Arab Emirates Arabian Stakes Invitational, the last race of the day on the first day of the Breeders’ Cup weekend at Santa Anita. When Powell recovered his speech, he embraced his trainer, brother, Scott Powell. “Scott has been training So Big in New Mexico for the last month and So Big was ready,” he said. 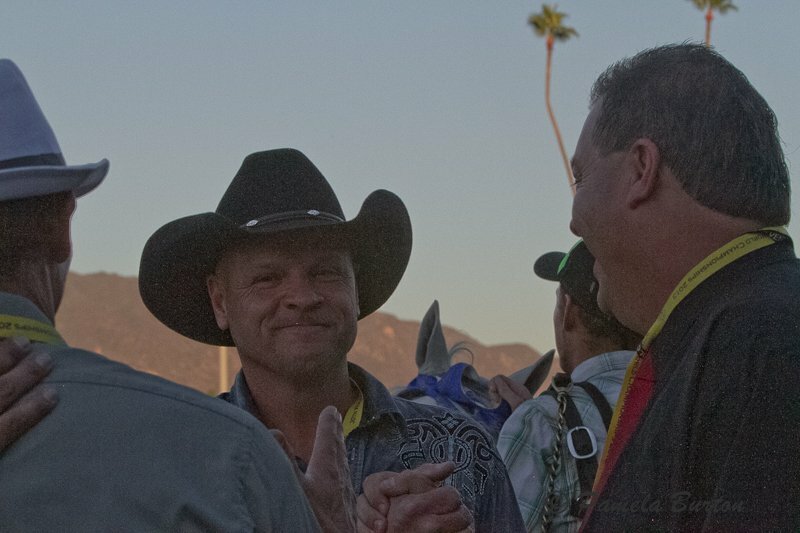 Scott Powell had cause for a double celebration as he owns and trained the 3rd place finish, the Burning Sand daughter, Ms Dixie (out of the Wiking daughter, Dixie Darlene). 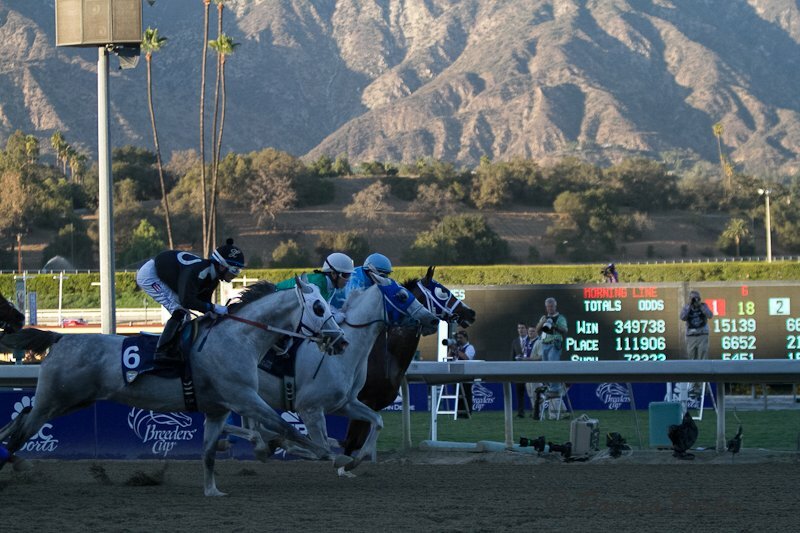 There were many good horses among the 11 that lined up for the start at Santa Anita with the impressive backdrop of the San Gabriel Mountains. Al Waed, Litle Bit and Grilla grabbed the lead three across at the start with number 11, So Big Is Better, stalking quickly from the outside. It was never a contest, as So Big Is Better found his stride and pushed easily past some of the best Arabian contenders in the USA to win in the time of 1:55.78. The French bred, No Problem Al Maury, recently purchased at the Arqana Paris Sale for 240,000 Euros, had been shipped over by new owner Sheikh Joaan Bin Hamad Al Thani of Qatar, adding to the International mark of the race. Guided by leading French trainer, Jean Francois Bernard, the racing card showed the Dormane colt’s last win by 25 lengths, and some thought he would have a clear shot. Perhaps he could not match the enthusiasm of the grey front-runner or it might have been the difference between the European and US running styles, but for this race he came in 2nd. Grilla, trained by veteran, Bill Waldron, won this race in 2010 at Keeneland, and had 3 wins this year. Total handle for Santa Anita for Friday, November 1, as reported by FalKirk International wagering consultant for Breeders’ Cup, was $51,521,146 versus $48,586,765 in 2012. 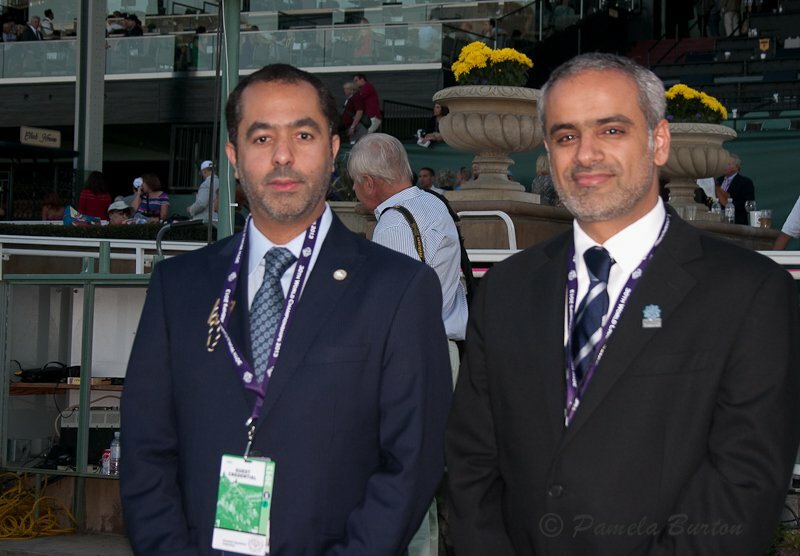 Wagering on the Grade 1 President of the United Arab Emirates Cup totaled $1.7 million. The reported attendance was 35,833. 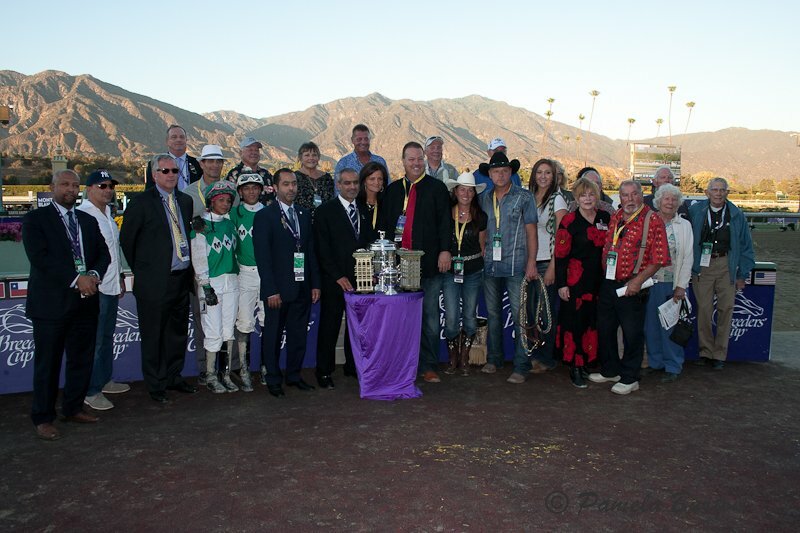 As for the other wonderful races at the Breeders’ Cup…well, that’s another story.